"The nuclear weapons are not uniquely vulnerable, but they are geographically close to al-Qaeda's leadership." "[What is] most dangerous, is the gradual spread of radical Islamist ideas in Pakistan." "Pakistan has more than 10,000 dedicated security personnel looking after its nuclear facilities." "Pakistanis see the Taliban as a product of US policies in the region." Pakistan faces multiple layers of threat from extremism. International terrorists, including al-Qaeda, have networks that extend from Pakistan's largest cities to remote sanctuaries along the Afghan border. Militants opposed to the Nato-backed government in Kabul, including former Afghan Taliban leaders, organize their insurgency from Pakistan's western tribal belt. Much of Pashtun Pakistan, including settled districts of the North West Frontier Province, is now threatened by the loosely-organized Pakistani Taliban. A range of militant and sectarian groups with long-standing ties to Pakistani intelligence now engage in destabilizing activities at home and throughout the region. And extremist sympathizers within Islamist political parties and social networks indoctrinate the public. There is also a nuclear issue. Only in Pakistan do you have the juxtaposition of a significant nuclear arsenal and the world's most sophisticated terror network. Pakistan's nuclear weapons are not uniquely vulnerable, but they are geographically close to al-Qaeda's core leadership, which has a declared intention to obtain a nuclear device. The US can help in a number of ways. There is an urgent need for assistance to the displaced residents of the Swat Valley to prevent them from turning against the state. To make Pakistan's nuclear arsenal less vulnerable, Washington can offer training for forces protecting the weapons, improved systems for screening personnel, and technical means for disabling weapons in case of theft. US drones should continue to target the worst of the terrorist cells active along the Afghan border, but Pakistan's own counter-terror capacity should be enhanced by sharing tactical intelligence and providing other tools such as helicopters, night vision goggles, and appropriate training. Longer term, Pakistan needs civilian assistance programmes on a large scale and private sector help to create opportunities for its next generation - 60% of the population is under 24 years of age - to undercut the appeal of violence and extreme ideologies. Fears that Pakistan's nuclear weapons are likely to fall into the hands of the Pakistani Taliban seem overblown. But concern that a large, and growing, part of Pakistan is controlled by a range of pro-Taliban groups, and not by the state, is well-founded. The situation in the tribal areas has clearly created safe havens for Taliban forces fighting in Afghanistan. But Taliban activity has also been growing in Pakistan, particularly in the North West Frontier Province (NWFP). Once entrenched, as in the Swat valley, the state is unlikely to regain control with non-military solutions. First, we don't really know what has happened in Swat. Have thousands of militants been killed or did the bulk of them slip away? And how many civilians have died? Civilian casualties alienate the wider population, in Pakistan as in Afghanistan. Military campaigns that go wrong increase support for the Taliban. Second, what will the state do next? Will it follow up a military victory with moves to demonstrate the benefits of the Pakistani state, through economic development and improvements in social services, health and education? Or will it leave people to return home to shattered houses, and move on to the next military campaign, maybe in Waziristan? Third, and most dangerous, is the gradual spread of radical Islamist ideas in Pakistan, in parts of Punjab, as well as the NWFP. This is accentuated by the fact that it is easier for the Taliban to destroy, than for the government to create. In the long-run the solution lies in education, and in creating an environment in which individuals have hope in this life. But few people would choose to teach in schools in Waziristan, above schools in Lahore. Implementing such a vision is easier said than done. 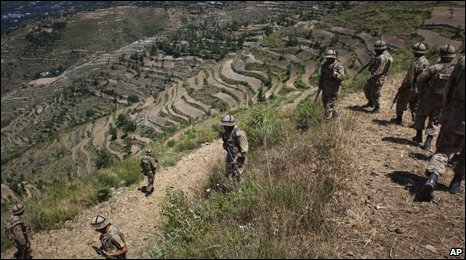 For the first time since 9/11, the Pakistani army has begun determined efforts to drive the Pakistani Taliban and other foreign extremist groups out of South Waziristan. This follows a successful campaign to expel the Taliban from the Swat valley, north of Islamabad, in which the army claims to have killed 1500 militants. However the US, Nato and millions of Pakistanis are not yet convinced that the government is fully committed to eliminating the Taliban threat, killing its leaders and overturning the army's longstanding support for the Afghan Taliban. It so happens that many of Pakistan's nuclear facilities are in western Punjab just outside the war zone in the tribal areas bordering Afghanistan and the southern part of the North West Frontier Province. Taliban have infiltrated into western Punjab as far as Mianwalli, which lies within 30 miles of nuclear facilities at Chasma on the right bank of the Indus river and Khushab further east. But international fears that a Pakistani-built nuclear weapon or dirty bomb fissile material could fall into the hands of the Taliban appear unfounded for the moment. Since April there has been a heavy deployment of security forces around these nuclear sites and several Taliban have been arrested in Mianwalli. 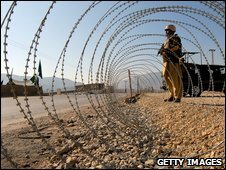 Pakistan has more than 10,000 dedicated security personnel looking after its nuclear facilities - all highly trained and constantly monitored for any possible links with the Taliban. It is widely believed that after 9/11, and the discovery that Pakistani nuclear scientists had been in contact with Osama bin Laden, the US persuaded Pakistan to install safeguards on its nuclear weapons, for which the US paid some $100m. Washington's current fear and frustration partly stems from the fact that Pakistan has never shown the US these safeguards, or subjected them to rigorous international testing. But it is also true that if the Taliban are not beaten back and their leaders eliminated, fears about the fate of Pakistan's bomb will multiply not just amongst foreigners but also among Pakistanis themselves. Pakistan created and used the Taliban to achieve its strategic goals in Afghanistan. It was September 11 and the Taliban's refusal to shed the al-Qaeda baggage that created a strategic rift between the US and Pakistan on the continuation of the Taliban in power in Afghanistan. Even now the Taliban remains a powerful instrument in the hands of Pakistan's military, to secure its long-term strategic interests in Afghanistan. This explains the shelter still given to the Taliban leadership in Quetta, and the resurgence of the Taliban threat to Afghanistan. A distinction should be made between the Afghan Taliban and the Pakistani Taliban. The Afghan Taliban are not staging terrorist attacks within Pakistan, the Pakistani Taliban are. Pakistan is taking military action against the latter, not the former. Pakistan has allowed extremist thinking to grow within the country because it suited its domestic political needs of unifying the country around Islam, as well as its strategic needs vis-a-vis India and Afghanistan. Pakistanis see the Taliban as a product of US policies in the region. The Pakistani authorities have no choice but to take a section of these forces on. For one, those behind the terrorist attacks have to be neutralized for the sake of civil security. For another, Pakistan is under pressure from the US to act. If these groups impede Pakistan from supporting the US effort in Afghanistan or deepen their strategic space within Pakistan, then the core of US strategy will be in disarray. 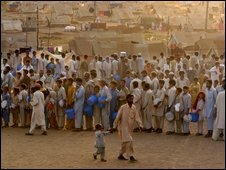 Pakistan's counter-insurgency measures involving the use of the Air Force and heavy weaponry against their own people, causing internal displacement of the population on a massive scale, can potentially put strains on the unity of the country by sharpening already existing ethnic divisions. Do I seriously think there is a chance of Pakistan's nuclear arsenal falling into the hands of extremists? Such an apocalyptic scenario is difficult to visualize. This presupposes the collapse of the Pakistani state and its armed forces, which is unlikely to happen in the foreseeable future. If the Pakistan army itself becomes Islamized, then the "extremists" would have gained access to Pakistan's nuclear arsenal. But these are imaginary scenarios for the time being.